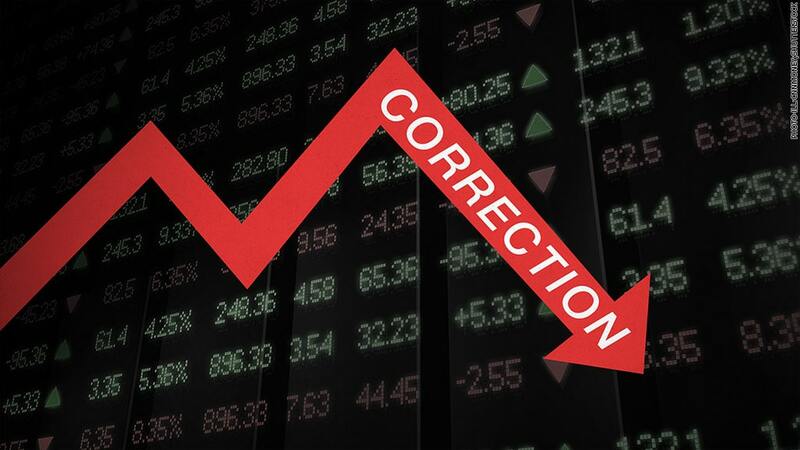 Pullbacks, Corrections, and Bear Markets – What’s the Difference? HomeFinancial PlanningPullbacks, Corrections, and Bear Markets – What’s the Difference? Over the weekend, a relative asked, “Are we in a bear market?” I answered his question with, “What do you think a bear market is?” He rattled off a few comments about the economy, and the market being down the last couple of weeks. With the recent market volatility, now seems like a good time to clarify some of the main differences between pullbacks, corrections and bear markets. According to a Morningstar report based on Bloomberg research, a pullback is a decline of 0 to 9.9%, a correction is a decline of 10 to 19.9%, and a bear market is a decline of more than 20%. A pullback can recover as quickly as 1 – 2 weeks in the stock market, a correction averages 2 to 6 months, and a bear market nearly a year. Knowing about these differences are important. We talk about market downturns at our client meetings. That’s why we diversify accounts between stocks, bonds, and cash. It’s just like getting on the freeway – if you know there’s going to be traffic, it’s easier to have some patience upon driving to your destination. If you don’t check the traffic report and just get on the freeway, it’s harder to handle the traffic jam up ahead. The emotional response to the stock market can lead anyone to make bad decisions or sell at the wrong time. Only to then completely miss the upside as the economy recovers! There is a saying about the stock market when the economy is struggling – it takes the elevator down, and the staircase up. Meaning, it goes down quickly and comes back slowly. It requires patience. People make rash decisions and sell out of fear, or the feeling of loss, and want to quickly find a remedy to sooth that emotional pain. There is a sigh of relief, and the feeling of selling before the market goes down more seems like the right response. Later, the market goes back up, and the public completely misses the upside of stocks recovering back to higher levels. You see, stocks are companies. If you buy good companies, they will recover. Trying to time the market ups and downs is a hard road to navigate. Instead, have a financial plan. That’s what we do and why we do it. That plan is your roadmap for the traffic of the markets. It will lead you to your destination in retirement, finding the right route to take in both good and bad times. Remember that your retirement timeline is covering years and years of your life. These pullbacks, corrections and bear markets are part of our history and will happen again. Trusting your tested financial plan helps keep emotions stable and your money will be better off in the long run.